Will you help create new beginnings? Substance use disorder affects one in three U.S. families. Due to stigma and shame, many still suffer in silence but don’t have to be alone. 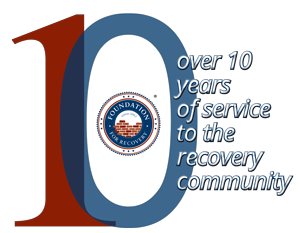 At Foundation for Recovery, there is always hope and help available for people who want to break the cycle of addiction. Recovery is possible. Your gift helps provide authentic peer recovery support services for individuals impacted by substance use disorder. Yes, count me in, I am part of the solution—people can recover, they do recover, and they are worth the effort! Prefer to donate by mail? Please complete and mail this printable form. Questions? Contact us at 702-257-8199.